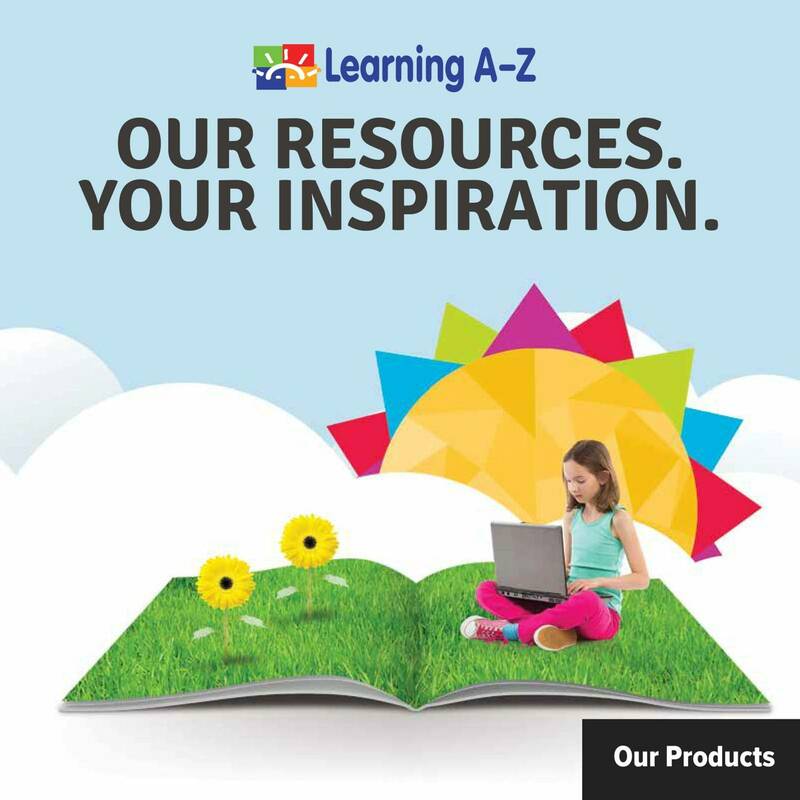 Reading A-Z is a digitally delivered teaching resource famous with educators for its unmatched value and extensive collection of high-quality leveled books and teaching resources. 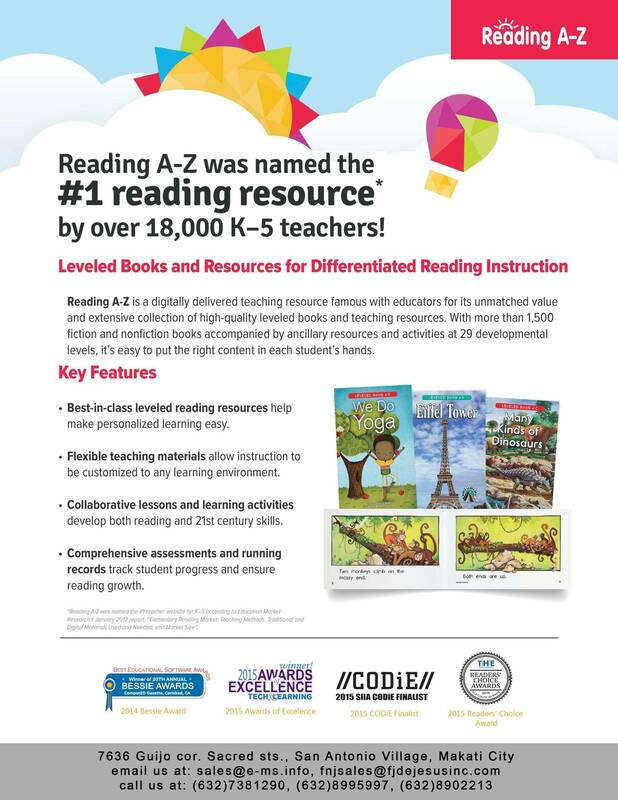 With more than 1,500 fiction and nonfiction books accompanied by ancillary resources and activities at 29 developmental levels, it’s easy to put the right content in each student’s hands. differentiated reading practice necessary to improve their reading skills anytime, anywhere. 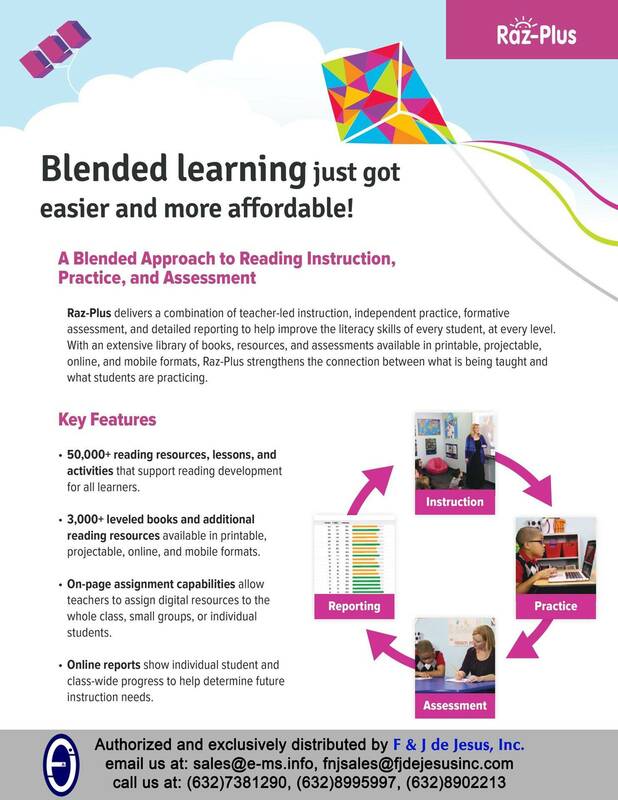 Raz-Plus delivers a combination of teacher-led instruction, independent practice, formative assessment, and detailed reporting to help improve the literacy skills of every student, at every level. 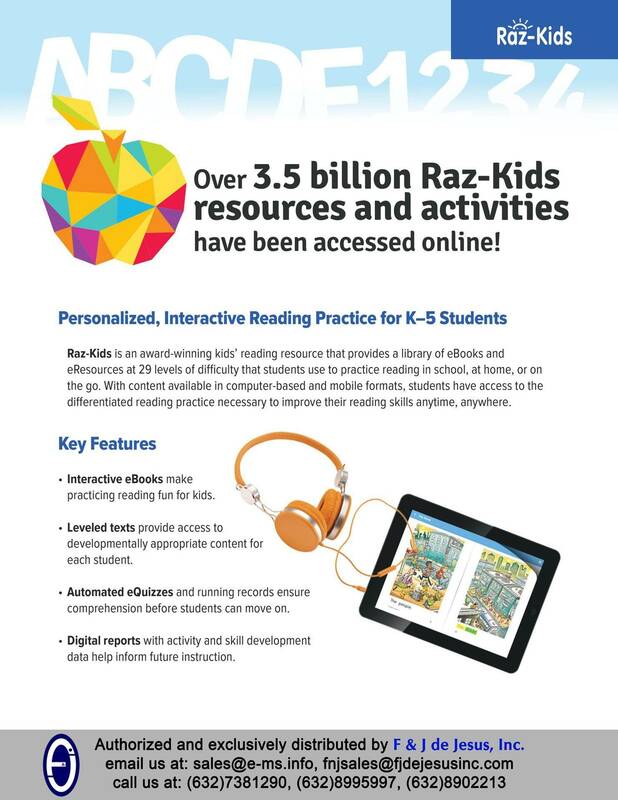 With an extensive library of books, resources, and assessments available in printable, projectable, online, and mobile formats, Raz-Plus strengthens the connection between what is being taught and what students are practicing. favorable independent reviews for its effectiveness with early and developing readers. 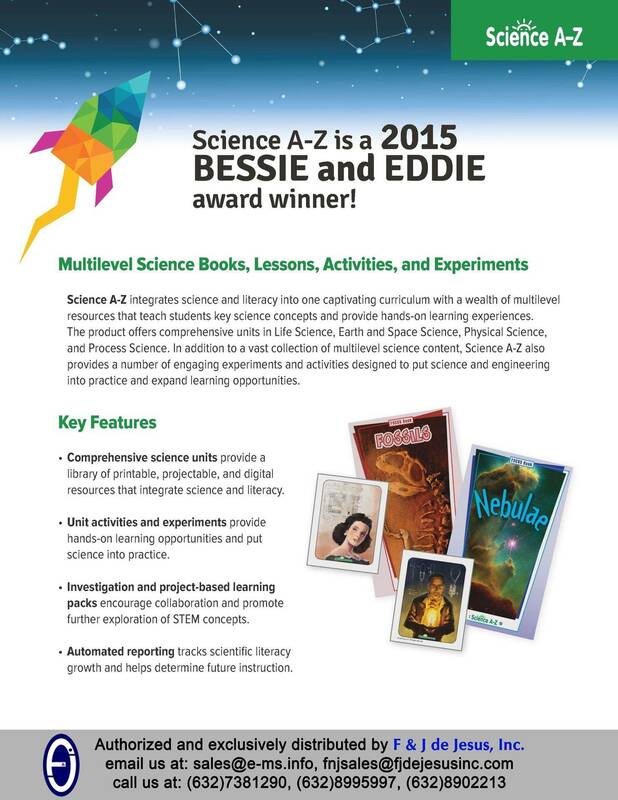 Science A-Z integrates science and literacy into one captivating curriculum with a wealth of multilevel resources that teach students key science concepts and provide hands-on learning experiences. The product offers comprehensive units in Life Science, Earth and Space Science, Physical Science, and Process Science. In addition to a vast collection of multilevel science content, Science A-Z also provides a number of engaging experiments and activities designed to put science and engineering into practice and expand learning opportunities. 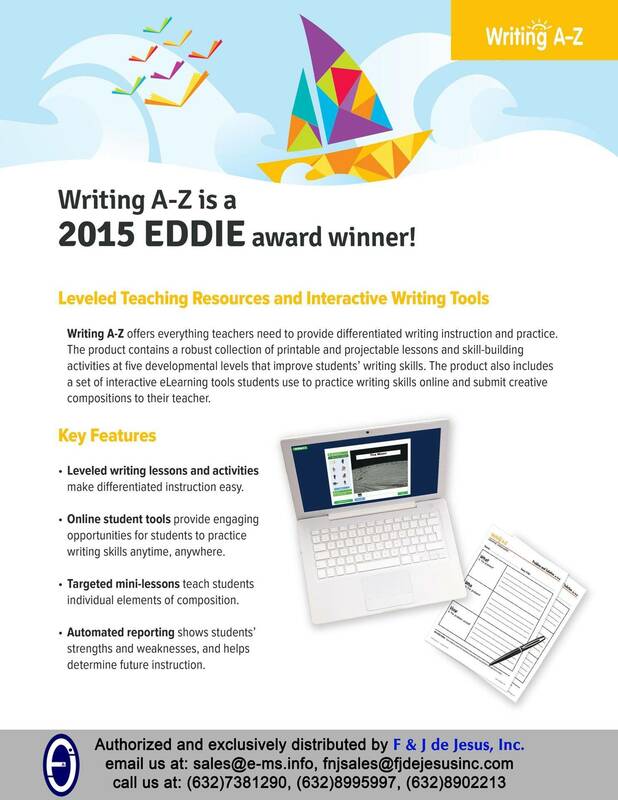 Writing A-Z offers everything teachers need to provide differentiated writing instruction and practice. The product contains a robust collection of printable and projectable lessons and skill-building activities at five developmental levels that improve students’ writing skills. 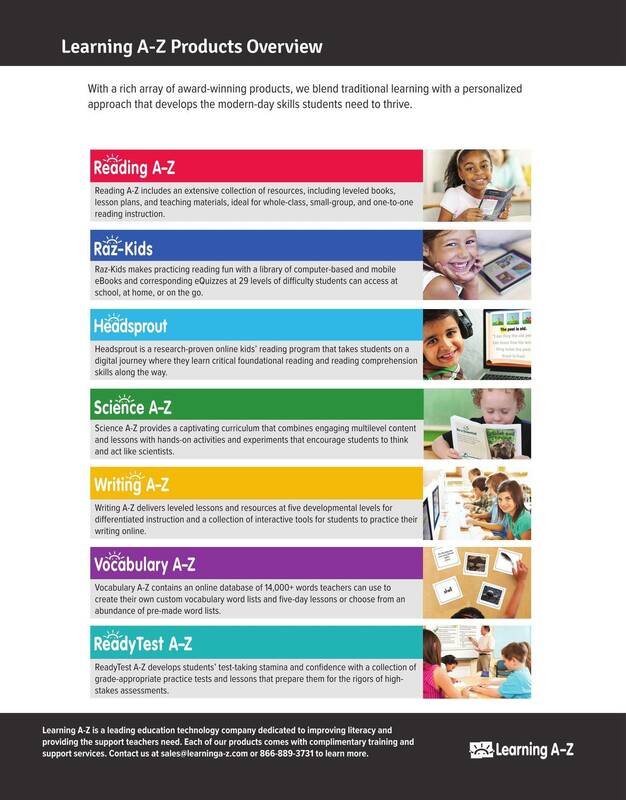 The product also includes a set of interactive eLearning tools students use to practice writing skills online and submit creative compositions to their teacher. 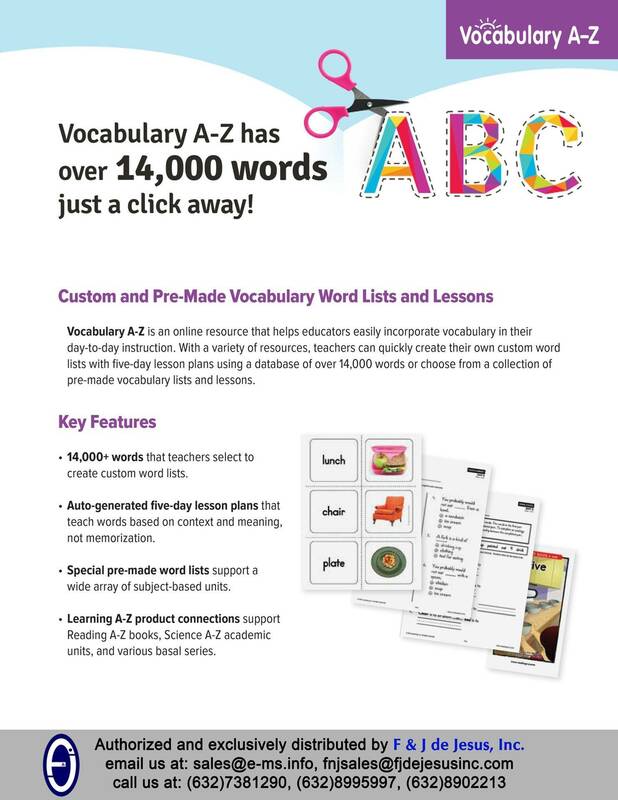 Vocabulary A-Z is an online resource that helps educators easily incorporate vocabulary in their day-to-day instruction. With a variety of resources, teachers can quickly create their own custom word lists with five-day lesson plans using a database of over 14,000 words or choose from a collection of pre-made vocabulary lists and lessons.